Protel BPO is located in Belize City, Belize. 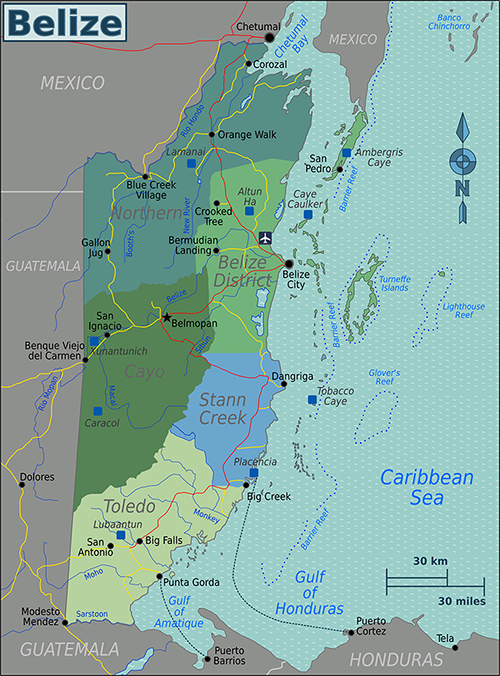 Belize is both a Central American and Caribbean Country. Belize is located on the mainland between Mexico to the North, Guatemala to the West and South and the Caribbean Sea to the East. It is approximately 1.5 hours from Miami by air. Dependent on daylight savings time, Belize is either on Central or Mountain time zones. Belize is the only country in Central America that has English as its official language. While English is the official language, over 50% of the population also speaks Spanish fluently, making Belize a genuine bi-lingual destination. Our Call Center provides quality outsourcing, and has established itself as one of the main Call Centers in Belize.